-Mrs. Mary Maverick, San Antonio, 1838. Few people realize that the word maverick, a term associated with unbranded cattle, was the last name of an Alamo defender. What is different about this member of the garrison — Samuel Augustus Maverick, is that an important errand meant that he was absent from the old mission on the morning of March 6, 1836. Spared the fate of his friends, Maverick returned to San Antonio and became one of its leading citizens. This is Maverick’s story. Born in South Carolina in 1803, Maverick was part of the generation born after the American Revolution. This generation would go onto to significantly shape the first half of the nineteenth century of the United States. His father’s plantation provided the means to an excellent education for Samuel, which included a college degree from Yale in 1825. He later studied law under famed Virginia jurist Henry St. John Tucker before returning home to assist with the family’s business interests. Following brief stints managing family properties in Georgia and Alabama, Maverick succumbed to the lure of Texas, arriving there in 1835. Unlike most American colonists who settled around the Brazos River, Maverick instead chose the town of San Antonio de Béxar as his new home. His decision placed him at the center of the Texas Revolution. General Martín Perfecto de Cos arrived at San Antonio in late 1835, at the head of a column of Mexican troops. This was a show of force intended to stop disobedient American colonists from agitating against the centralist government of President Antonio López de Santa Anna. However, the skirmish at Gonzales on October 2, 1835, ignited a full revolt. With Cos occupying San Antonio, the Texans colonists under the command of General Stephen F. Austin laid siege to the town. Cos placed Americans living in town like Maverick under house arrest since he believed they could not be trusted. Maverick recorded his experience as a prisoner in his journal, noting Mexican activities in town and across the river at the Alamo. On December 1st, Cos relented and allowed Maverick to leave after fellow American John W. Smith convinced the general that the two men planned to abandon Texas and return to the United States. Once away from town, however, Maverick and Smith reported to the Texan camp and volunteered to guide the colonists into San Antonio. Maverick led the way for Colonel Ben Milam’s column as it advanced through the town in the Battle of Béxar (December 5–10). Maverick remained in San Antonio after Cos surrender and his troops evacuated the town. He then joined the Alamo’s garrison. Maverick did not die at the Alamo when it fell to Santa Anna on March 6. The garrison, which had decided that Texas should become independent from Mexico, sent Maverick to the constitutional convention scheduled at the town of Washington located on the Brazos River. 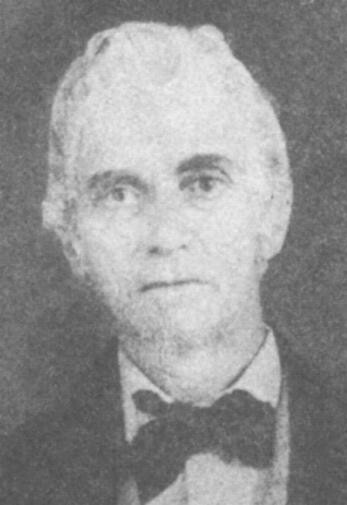 He and another delegate, Jesse B. Badgett, had been instructed by the rest of the garrison to vote for independence. His vote wasn’t needed, though, since the convention had already declared independence on March 2, the day Maverick left the Alamo. He added his signature to the declaration on March 5 when he arrived. In poor health, Maverick left for Alabama, missing the Texan victory at San Jacinto. Maverick returned to Texas in late 1837, accompanied by his new wife and son (Mary and Sam, Jr.) and several slaves. He and his family quickly became tied to San Antonio. Elected mayor in 1839, Maverick’s political and business interests placed him in a good position to acquire multiple lots in town as well as ranch lands near Matagorda Bay. Although interested in speculating in Texas land, Maverick cared little for the cattle living there, not even bothering to have his brand placed on them. Thus, people began referring to his unbranded cattle as “Mavericks,” a term soon applied to other such animals. By 1849, Maverick had purchased property along the former west and north walls of the old Alamo mission, claiming that he wanted to build his home at the northwest corner, so he could look out to see where his friends had died. The 1850 Maverick home site was located where the Gibbs Building (1908) now stands on Alamo Plaza. The 1882 Crockett Block across from the Alamo church was later built by two of his sons. Thus, Maverick and his family had a lasting impact on the landscape of San Antonio. More than just a land developer, though, Maverick served as both a witness and a participant in Texas’ formative years as a republic and state. Located on an active frontier, San Antonio still faced serious threats, a fact that Maverick knew well. In 1840, a battle erupted just steps from his home on Main Plaza. Dubbed the Council House Fight, the incident occurred when Texas officials attempted to seize several Comanche leaders who had failed to turn over white captives to the Texans. Maverick and his brother-in-law were sitting in his parlor when Mary rushed in and described the scene unfolding right outside in the street. The March 1842 Mexican Invasion of San Antonio prompted Maverick to relocate his family to La Grange, but he was back on legal matters when a second and larger Mexican force marched into town and captured the entire District Court that had been called into session. Facing overwhelming odds, more than fifty Texans had taken refuge in Maverick’s home on Main Plaza, along with Maverick himself. This group eventually decided to surrender and were marched off to Perote Prison in Mexico. Released the following year, Maverick returned to Texas. Maverick’s wealth and past record of service to Texas as patriot, businessman, and congressman continued to keep him before the public. His fortune increased throughout the 1850's, even as a national political crisis threatened. Although initially opposed to secession, Maverick nevertheless supported Texas’ decision to leave the Union in 1861, even serving as a delegate to the Texas Secession Conventions as well as one of the three commissioners selected to negotiate the surrender of Federal troops and property throughout Texas. He once again served San Antonio as mayor during the Civil War. Maverick remained active in the Democratic Party until his death in 1870 at the age of sixty-seven. He is buried in San Antonio City Cemetery №1. His legacy still looms large over his adopted city of San Antonio and the state of Texas. Rena Maverick Green, ed., Samuel Maverick, Texan (San Antonio, 1952). Paula Mitchell Marks, Turn Your Eyes toward Texas: Pioneers Sam and Mary Maverick (College Station: Texas A&M University Press, 1989). Samuel A. Maverick, Account of the Siege and Battle of Bexar From Within Bexar. http://www.sonsofdewittcolony.org/bexarmaverick.htm.